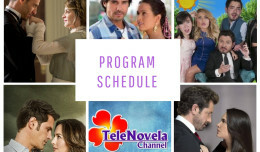 In the Name of Love: Episode 14 | TeleNovela Channel - Bringing you closer to lifes drama. The past is catching up with the present as Cristobal gets a word from Natalia about the Espinoza de los Monteros. Carmen surprises Paloma with a remark that will change the course of her love life.